He owns an important collection of old ADOLPHE SAX and SELMER saxophones (Model 22, Cigare Cutter, Super Action, Mark VI) that he plays very often in accordance with his different repertoires and also to develop his sound culture and not to forget historical references! The advisor functions he occupies since the 80s in both firms, which are real key institutions of the French instrumental making, have progressively led him to a great capacity for adaptation and to a constant curiosity, increased by his desire to research into the sound, the emission and the intonation. The evolution of our saxophones is linked to our history, to the culture of our firm and to the personality of our artistic advisors. Our Research & Development team, guided by Claude Delangle and Patrick Bourgoin, works without respite for the improvement of our instruments. There is a real exchange between the advisor and the manufacturer in order to decode into technical language the expectations of the professionals. Therefore, the work with our testers is an indispensable collaboration and a very enriching experience during the adjustment of a new instrument. The concept of comfort (ergonomics, weight, balance of the contact points) takes a very important place. The relationship between the breathing of a musician and the response of the saxophone is also a key element of this sense of comfort; it is here where the control of the emission, the intonation, the capacity to “phrase” and therefore the control of the musical pleasure are questioned. The research on the materials, the volume of the bore, the location of the “chimneys” or of the register holes determines the use of an instrument in one or other artistic expression. We reach here a major point of the making of the saxophone: from the most popular kinds of music to the field of contemporary creation, including all jazz expressions and light music, our instrument possesses such a richness of techniques, sound, such an expressive potential, that it is unthinkable that a unique type of making may suit all musicians. 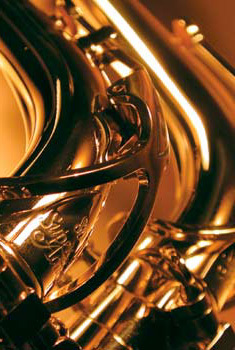 Since the late 80s, the “Selmer III” range has enriched the production of Selmer-Paris. In the past, saxophonists were firmly specialised in playing the alto, the tenor or the soprano. Nowadays, many saxophonists play 2, 3 or even all saxophones. Therefore, that requires a more homogeneous conception of the keywork, an easier emission without losing that well-known “timbre” which is the success of the firm. The improvement of our intonation is of course our permanent concern. In terms of “sonority”, we constantly refer to that subtle but strong link with “history”, since the first models by Adolphe Sax to the Mark VI on which many musicians that are active nowadays have started their studies! Our Research and Development department also devotes an important part of its energy to the permanent control of the production; sample series are regularly taken and are played in a real situation in a hall with studied acoustics. From our point of view as leaders in the top of the range, the listening of musicians with diverse horizons and the contribution of the more than a hundred years of know-how of the Selmer house favour innovation. Didn’t Arthur Rimbaud say: “the greatest sign of modernity is having the greatest respect for the past”. “A Selmer is an instrument that resembles no other”. Innovation will only find its legitimacy if it takes into account the economic constraints of the market. A new instrument must be competitive, reliable and pass successfully the different stages of its manufacturing; and the quality-price ratio proves to be the imprint of our know-how. 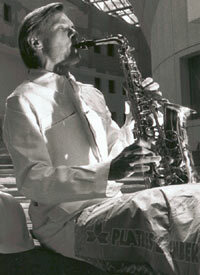 I wish to thank Claude Delangle and Patrick Bourgoin who , through their musical experience, their professionalism, their will to cross the musical borders, are in a position to correctly define the necessary developments to be brought to our instruments, in order to give them their real identity: “The soul of a Selmer”. As a student, I used a C* Selmer mouthpiece. I was completely satisfied with this mouthpiece. I did not ask myself questions about the material but only how to do something with it! When I left the Conservatory, Roland Pierry introduced me to the Vandoren A25 mouthpiece. I started feeling new sensations, looking for new colours, the “grain” of different sounds, according to the repertory. I was not fully satisfied with this mouthpiece but I started to realise in a slightly vague way that I wanted to find my own sonority. In any event, I had to “move” and give up habits that had become too comfortable. I needed to look for a new balance between the sound that was mine in those days, the one I was dreaming about, and the acoustic features of a mouthpiece. I spent several years changing frequently; the A20, the A27, etc, returning regularly to my landmarks of the C*. In the 1990s, I used the A17 mouthpiece for a long time. It gave me exactly what I was looking for in terms of emission: precision, balance, consistency and clear articulation, etc. When the A28 came out, I was attracted to its rich timbre. It required greater effort on my part, more air, but I was delighted by its warm sonority. However, I continued to feel nostalgic about the accuracy of the A17, to which I finally returned, preferring to select a stronger reed to obtain a warmer sound. The softest reed with the A28 produced a compromise between emission and sound but made me lose some of the high pitch. A small diversion during a few months with the AL3 and AL4 convinced me that they were suitable for playing in an orchestra or for classes (1st and 2nd cycles). As a soloist, however, I felt a little “constrained”. I recently changed to the A5 with the medium chamber. This mouthpiece is a little too open for me, it gives a rather well rounded sound but it is nowhere near as rich in harmonics as my previous mouthpieces. In a way, there is a kind of struggle between my basic conception and the potential of this mouthpiece. This is why it is good for me. It sets limits to my excesses and helps me explore other horizons. I will probably change again soon but I do not recommend it for my students. In fact, it requires perfect mastery and a precise idea of the colours one is looking for. It is not much of a guide and can produce disasters! All these successive changes have enabled me to become aware of a strange idea. When you have mastered sound well, it may perhaps be advisable to avoid playing with material that is perfectly in line with your own concept of sound! The tension (gentle) between the objective and the material can generate new musical ideas. On the other hand, I recommend the greatest stability possible during elementary studies, and well-considered and infrequent changes during higher studies.